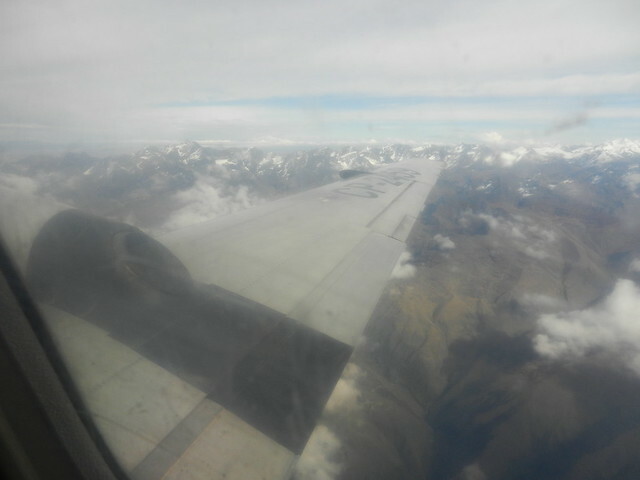 There are two airlines that fly the 45 minute La Paz-Rurrenabaque route. TAM is slightly cheaper than Amaszonas, but they have fewer departures. 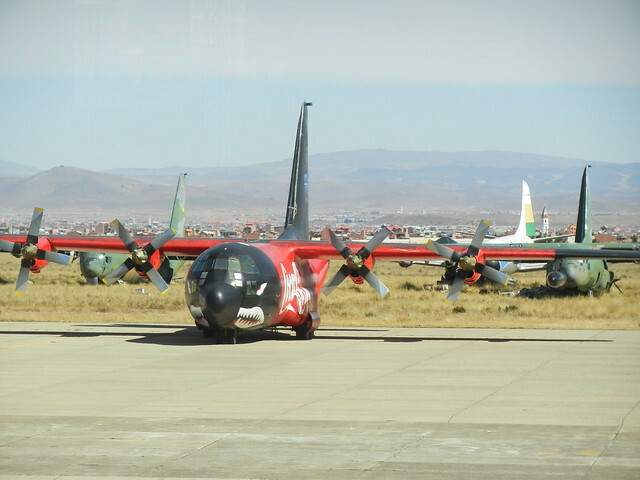 You also have to go to the military airport, which is next to the normal airport in El Alto (a 20Bs taxi ride from outside the civilian airport boundary fence or a 50Bs ride from within). I wasn’t sure what to expect, but TAM was like any other airline. Actually, it was better because we were given a sandwich and drink, which American Airlines has failed to provide on a five hour flight! 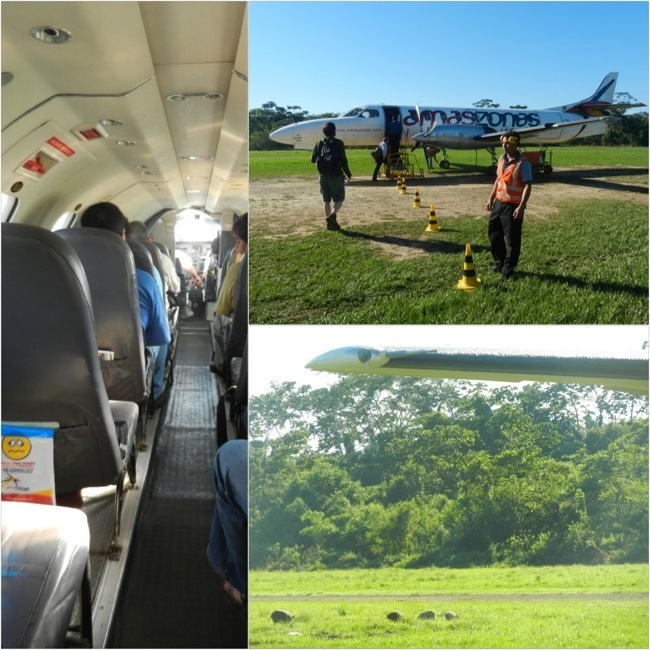 The plane was small, but nothing compared to the tiny 19-seater that I returned on with Amaszonas. 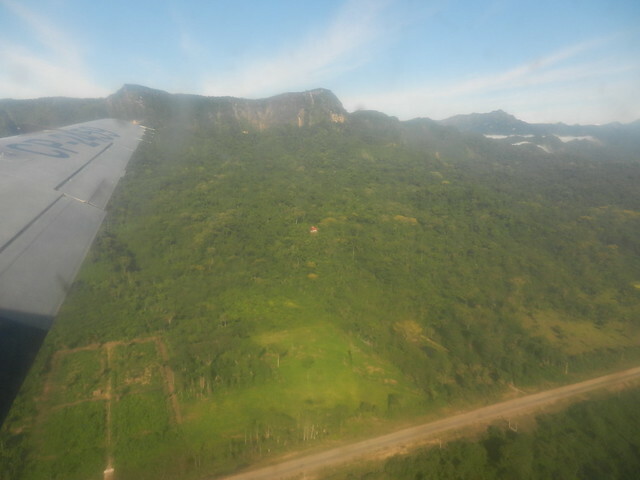 Before taking off, pigs had to be chased from the grass runway. 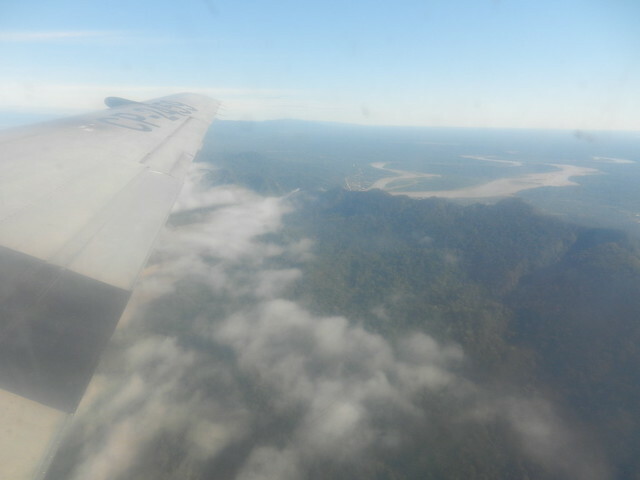 I met a guy on our jungle tour who’d had his flight turned back just before landing because of bad weather in Rurrenabaque. In his words, “it was like a cheap sight-seeing flight”. 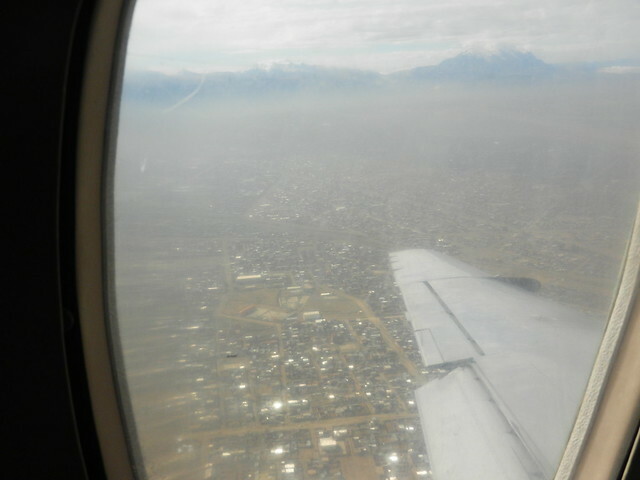 Take off begins at 4,000m and it’s all down from there. 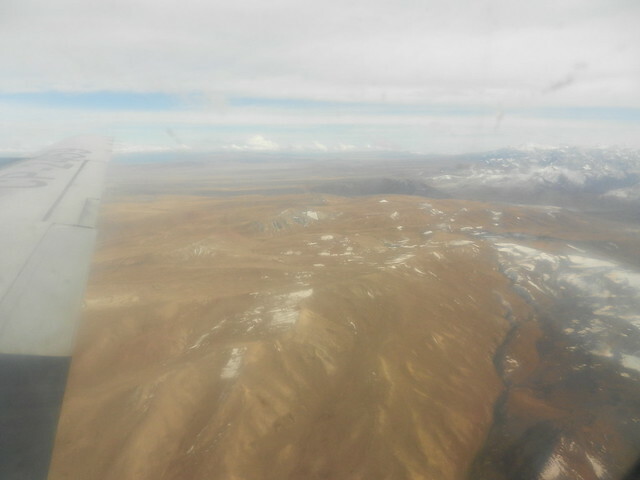 But first you have to cross the Cordillera Real and the views are spectacular. 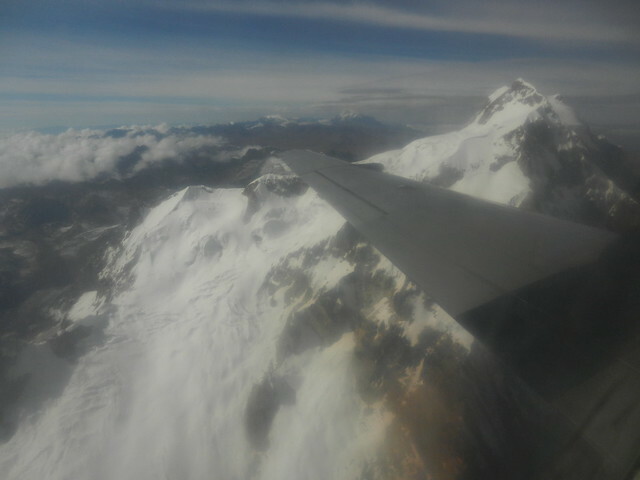 I’ve never flown at the same height as a mountain peak before! Unfortunately my TAM plane did not look like this. We were greeted to a rainbow after a delay due to weather conditions. Mount Illimani towers over El Alto, the largely indigenous town (and site of La Paz’s airport) which sits above the city on the altiplano. For information about what we did in Rurrenabaque, see our blog post. 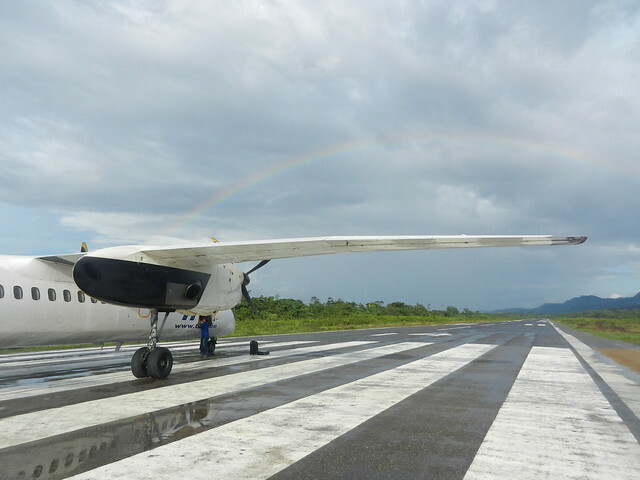 This entry was posted in Bolivia, Photo Essay, Trains, Planes and Automobiles and tagged Amaszonas, flight to Rurrenabaque, La Paz military airport, small plane, TAM by Rosanna. Bookmark the permalink.